Contact us to learn how Mason makes it easy and affordable to build and deploy a dedicated mobile device. Request a 30-minute demo today! Android devices and accessories built to run your software in every environment. Developer friendly tools to help you build and deploy a custom Android OS to fit your needs in minutes. Bundled LTE connectivity ensures that your devices are always connected. Consumer hardware shouldn’t dictate how you build your software. Mason provides flexible, affordable, and secure hardware to fit any application. 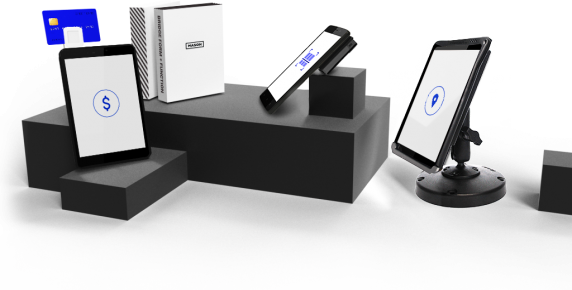 Harness the true power of your device with accessories ranging from barcode scanners to mounting solutions. Leverage our hardware expertise and manufacturing network to build your ideal device. Get started today with 8” tablets or 5.5” smartphones that are secure, reliable, and affordable. Start with a single device and scale to thousands in just a few weeks. Maximize device lifespan with full visibility and control over the supply chain. We offer all of our devices and accessories at OEM prices, allowing hardware to be easily accessible for all companies. Our tools give you full control over your mobile device ecosystem. Everything from OS configurations to how and when apps are updated is up to you. Schedule or push app and OS updates as needed. Production devices arrive with your software ready out of the box or can be provisioned by you via an OTA update. Build a custom Android OS in minutes, without touching source code. Eliminate unknown and unnecessary software to reduce vulnerabilities. Manage updates typically controlled by OEMs and carriers. Save months of development time and go to market faster.